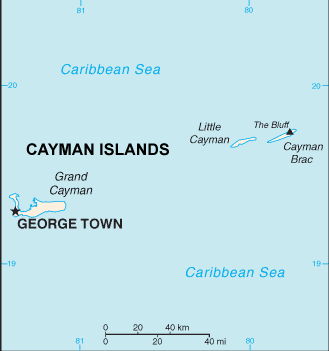 The Cayman Islands are a 3-island British territory in the eastern Caribbean Sea. Totaling 100 square miles, the islands are named Grand Cayman, Cayman Brac, and Little Cayman. The tropical islands are populated by Afro-European, African, European, and various others. 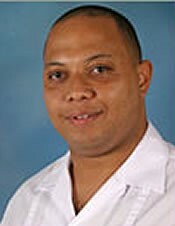 The total population for the islands is over 50,000 with the capital of Georgetown the largest city. The islands were mostly uninhabited until the 17th century. Among those who settled on the islands were pirates, refugees from the Spanish Inquisition, shipwrecked sailors, deserters from Cromwell's British Army, and slaves. The majority of residents today are of African and British decent and English is the predominate language of the islands. Politically, the Cayman Islands today are a self-governing British Overseas Territory with their own governor and legislature. Caymanians enjoy one of the highest standards of living in the world despite being required to import nearly all of their food and consumer goods. The islands have limited natural resources and available land suitable for agriculture. International finance, tourism, and tourism-influenced construction provide the revenue needed for the islands to prosper. The favorable tax treatment and safe haven for international funds have paved the way for approximately 70,000 companies to register in the Cayman Islands. Caymanian children are provided free education that follows the British educational system in concept. The local government operates 10 primary, 2 secondary, a special education center, a university and a law school. The religious affiliations on the Cayman Islands are Anglican, other Protestant denominations, and Roman Catholic. Like any nation, the Cayman Islands need clear, accurate, and consistent presentation of the Bible and the Gospel for evangelism and instruction. Pray that God will be active in revealing Himself to the Caymanian people as well as throughout the world.View Cayman Islanders in all countries.